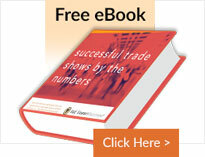 Tradeshow Display & Events Graphics FAQ. Exhibitsusa. Do you print trade show display graphics? Yes, we have a high-quality, large-format graphic production department in-house at E&E Exhibit Solutions to print all kinds of trade show graphics. Our production department takes great care to ensure that your tradeshow display graphics are a perfect fit for your display. Will I see a proof of my trade show display graphics before you print them? Yes, we provide test prints of your trade show display graphics for your approval before proceeding with final production. The test prints allow you to review the design, color and resolution of your trade show graphics. On what materials do you print trade show display graphics? I don’t have a graphic designer on staff. Can you help me design my trade show display graphics? Yes, we offer graphic design services for large-format trade show graphics. Our designers will work with you to create artwork based on your trade show display, exhibiting objectives and budget. In addition, we offer integrated marketing programs to create not only trade show display graphics, but brochures, direct mail, business cards, letterhead, web sites – all with the same look and feel to promote your brand. What is your turn around time? Can I rush an order? Our turnaround times vary with the size of the trade show graphics order. Most orders are fulfilled within our standard turnaround of 5-7 business days from receipt of usable artwork. This includes one test print before final production. If you need to rush an order, please contact us. We may be able to accommodate your deadline depending on our production schedule. Rush fees may apply. Can you print graphics for a display I already own? Yes, we can print trade show graphics for most trade show display exhibit booths. Our graphic production department requires the display on-site at E&E Exhibit Solutions to make sure the new trade show display graphics fit perfectly into your display frame.